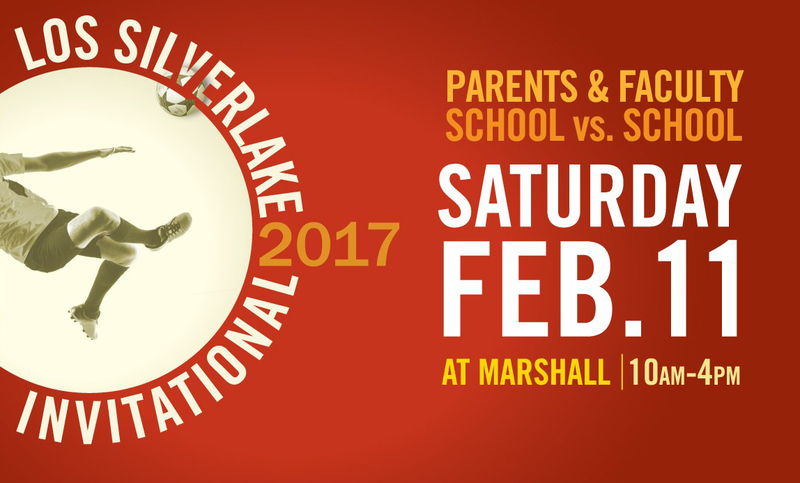 This Saturday, February 11th, is the 6th annual Los Silverlake Invitational soccer game being held at John Marshall High School at 3939 Tracy St. The invitational pits parents and teachers from the participating schools – Ivanhoe Elementary, Micheltorena Elementary, Franklin Elementary and – in teams against one another. All the proceeds go to support the schools, to help fund extra-curricular activities and other expenses not covered by LAUSD such as music class, physical educational activities, and teacher’s assistants. The goal of the game is to raise $20,000 for the local area schools, and the event is brought to you by by their parent fundraising commitees: Friends of Ivanhoe, Friends of Franklin, Friends of King, and Friends of Micheltorena. Tickets to the Los Silverlake Invitational cost $5 per person, and kids are free. Gates open at 9 a.m. and the first game begins at 10 a.m. There will be four games played throughout the day: Franklin v. King, Ivanhoe vs. Micheltorena, plus two games of the children playing against each other. At 10 am, you can watch Franklin Elementary play against King Middle School. At 12 pm, first, second and third graders from Ivanhoe Elementary and Franklin Elementary will play. At 1 pm, fourth and fifth graders from Ivanhoe Elementary and Franklin Elementary will play. The final game is at 2 pm, when parents and teachers from Ivanhoe Elementary and Micheltorena Elementary compete. There will be a post-game celebration at Hyperion Public. So if you’re a soccer fan and would like to support a worthy cause, head on over and watch Silverlandia’s most talked about game of the year! You can purchase tickets here, or if you want more information visit any of the schools websites or social media pages. We hope to see you there!